Chrissy relaunched her jewelry business and wanted a fresh new look. The bright colors match her style and personality! 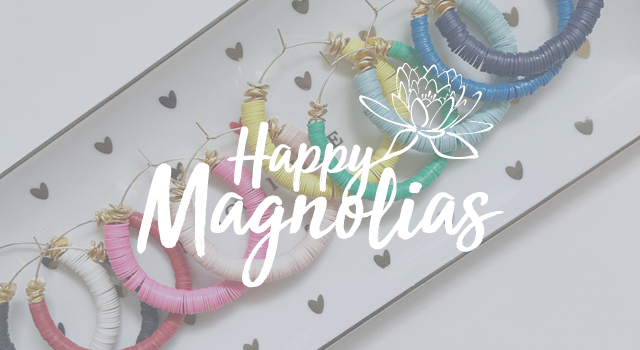 Check out Happy Magnolias on Instagram to see more of her beautiful pieces—and be sure to read the history of how the brand got its name.